'The Homestead' on Eastsound's Waterfront! Property 15: 'The Homestead' on Eastsound's Waterfront! 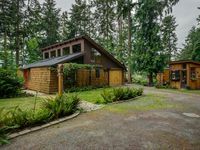 Property 17: West Beach Retreat Whidbey Island! Property 18: Spectacular Ocean View Home just minutes from La Conner and tulip heaven! Property 20: Custom Guemes Home w/ Spectacular Water Views! Property 21: West Beach Retreat Whidbey Island! Property 23: Big Cedar Retreat - Waterfront, Island View. Couples, getaways. 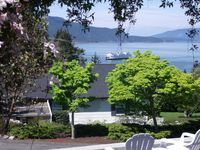 Property 27: Waterfront Bow Home w/ Fire Pit on Samish Island! Property 28: Spacious bayfront home boasts easy beach access and a private sauna! Open-concept waterfront getaway with stunning views of the Salish Sea! Property 29: Open-concept waterfront getaway with stunning views of the Salish Sea! This very private cottage by the lake has been described as peace on earth. Property 36: This very private cottage by the lake has been described as peace on earth. Comfortable Cottage With Western View, Just 3 Miles To Downtime La Conner! Property 37: Comfortable Cottage With Western View, Just 3 Miles To Downtime La Conner! LA CONNER BENTON STREET RETREAT - IN-TOWN - 3 BLOCKS TO EVERYTHING AND VIEWS! ! Property 38: LA CONNER BENTON STREET RETREAT - IN-TOWN - 3 BLOCKS TO EVERYTHING AND VIEWS! ! Unique waterfront home with lake & ocean views plus private sauna! Property 39: Unique waterfront home with lake & ocean views plus private sauna! Walking Distance to Rosario and Huge Views of Eastsound! Property 40: Walking Distance to Rosario and Huge Views of Eastsound! Property 45: NEW LISTING! Charming dog-friendly home w/free WiFi, downtown, EV charger! Property 46: Bayfront getaway with amazing views and easy access to nearby attractions! Beach. Peace. Privacy. Fun. Festivals. Property 49: Beach. Peace. Privacy. Fun. Festivals. Lovely pristine home, tastefully and artistically decorated. Such nice and thoughtful touches from the welcome goodies to the little notes. Lovely views, delightful location. Very hospitable homeowners! We loved our stay at this lovely home. The location, view, amenities and owner's attention to detail resulted in a delightful time. Looking forward to our next visit!